Mr Roger Dubuis recently rejoined his namesake brand as a brand ambassador and consultant of sorts. He recently went on a world tour and was just in Singapore where I was fortunate enough to interview him. On his wrist was a classic Sympathie S37 Biretrograde Perpetual Calendar in rose gold, which Mr Dubuis proclaims his favourite. 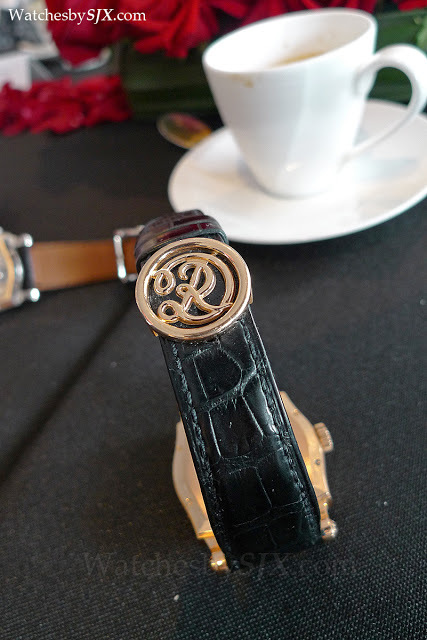 Mr Dubuis explains the biretro perpetual was the first complication he developed. He conceived and then manufactured the perpetual calendar module in what was then his small atelier. He then fitted the module to a Lemania base automatic calibre (the movement used in the watch below), later adding it to the Lemania 2310 chronograph movement as well to create this chronograph with perpetual calendar. Mr Dubuis also talked about his history as a watchmaker. He began his watchmaking career at Longines, where he worked in after-sales service repairing timepieces. 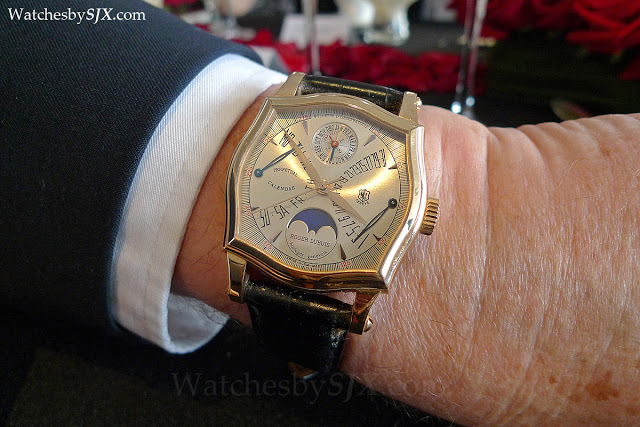 After nine years at St Imier, he went to Patek Philippe, where he stayed for 14 years until 1980. At Patek he was in the high complications department. Mr Dubuis says his time at Patek was a incredibly educational, and heavily influenced his philosophy of haute horlogerie. After Mr Dubuis left Patek he opened a workshop in Geneva, restoring vintage watches. But business eventually slowed down and that was when he started working on his first movement, or at least first module, the biretrograde perpetual. Then in 1995 he started SOGEM (Société Genevoise des Montres) with Carlos Dias, who had previously worked at Franck Muller. 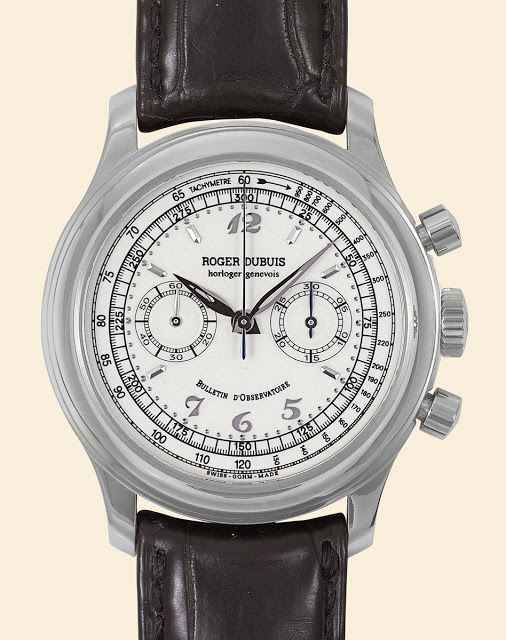 SOGEM later became Roger Dubuis. From its humble beginnings as a small workshop that manufactured modules and components rather than whole calibres, the brand grew thanks to the ambitions of the two founders. And in 2001 it opened its own manufacture in Meyrin. That is where Mr Dubuis involvement with the brand slows and eventually stops. Not long after Mr Dubuis left, the brand grew uncontrollably extravagant in its design and spending, and then Richemont acquired it. But in the early days Mr Dubuis philosophy of watchmaking was very apparent in the brand. 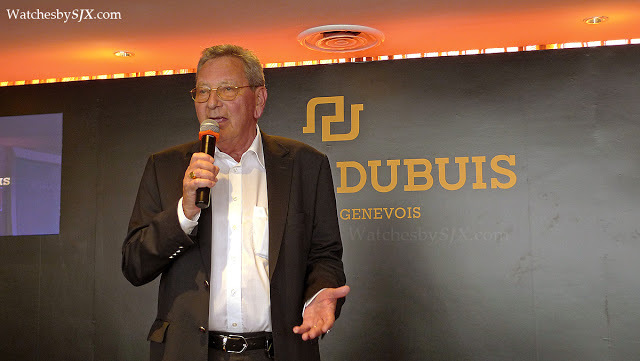 According to Mr Dubuis, his goal was to make complicated and highly finished timepieces in the most refined Geneva style, hence the SOGEM company name. As such all movements had the Poinçon de Genève (which at the time was more exclusive and only covered decorative finishing, though that has since changed), which he explains was part of his education at Patek Philippe. And the other was the uniquely shaped Sympathie, because he wanted something that was elegant yet distinctive. Mr Dubuis says still remains his favourite shape. I personally love the form of the Sympathie; it is easily recognisable yet subtle. 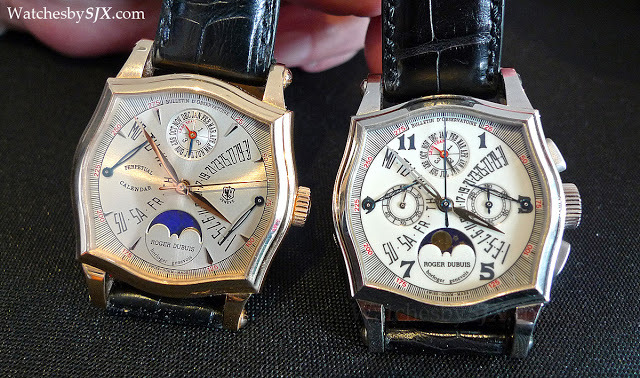 They are quintessential Roger Dubuis. But the brand’s watches from the nineties are wonderfully executed timepieces overall.